Most individuals will borrow money at one time or another. 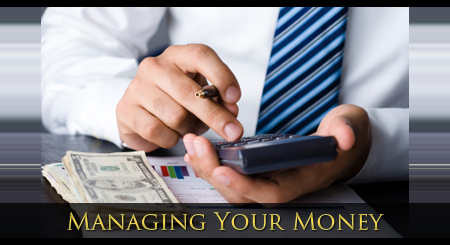 It is important that you manage your consumer debt effectively. Knowing how much you can and should borrow, and understanding loan provisions, including how finance charges are assessed, are the keys to effective consumer debt management. A popular adage for borrowers is “never borrow more than you can afford to repay.” Although this standard sounds reasonable, how can you determine how much you can borrow? Two standards are commonly used to assess the amount of consumer debt: the level of disposable personal income versus required debt payments, and the level of net worth and relation to the amount owed. The first measure, the ratio of debt payments to disposable income, measures your ability to make your nonmortgage debt payments from current disposable income. Debt payments include both repayment of loan principal and interest. So if your monthly debts payments, excluding mortgage payments, are $300, and your monthly take-home pay is $2000, your ratio is 15 percent. According to the National Foundation of Consumer Credit, the ratio of monthly payments for personal debts, excluding mortgage payments, to your take-home pay should not exceed 20 percent. For “average” American households, this ratio has hovered around the 10 percent figure over the last 25 years. This ratio is a “flow” manager signs it matches cash inflows, your take-home pay, with cash outflows, the amount needed to make payments on the debt. A low ratio of debt payments to disposable income (less than 10 percent) indicates that you can borrow more. Within a ratio of 10 to 20 percent, the borrower may feel pressured to make required payments. Ratios exceeding 20 percent indicate that too much has been borrowed based on the disposable income available to repay the debt. Financial distress may soon follow. The second measure of your use of debt is the ratio of debt to net worth, excluding mortgage debt and the value of the home from this calculation. This ratio is a “stock” measure since it relates the level of debt owed to accumulate the net worth. Recall that net worth equals the difference between assets and liabilities. Thus if you have total asset, excluding your home, of $80,000 and total debts, excluding your mortgage, of $20,000, your brain to you of debt to the net worth will be 33.33%.